← On LinkedIn: Will Meshing for CFD Become History? Automatically seeded streamlines can reveal flow features in Tecplot 360 2012. Tecplot announced the latest release of their flagship CFD visualization product, Tecplot 360 2012. 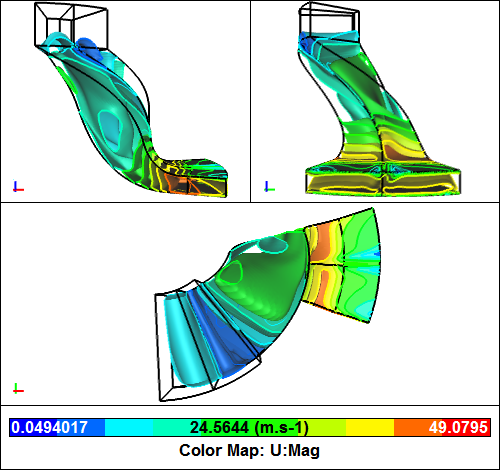 This update includes an ANSYS CFX loader, an improved ANSYS Fluent loader, automatic seeding of streamtraces, and slices with constrained extents. Symscape has provided another “sneak peek” of Caedium v4, the upcoming release of its OpenFOAM-based CFD software. v4 will include a new cyclic boundary condition, improved tolerancing for forming watertight volumes, and modeling of thin surfaces. CFD was the “magic word” at the Hamburg Yacht Forum. CFD helped redesign the rear wing for a road-racing NSX. Design News wrote about tighter CAD-CAE integration with STAR-CCM+. Application of CFD to porous media and absorption cooling. When I think of a Voronoi diagram it’s just in the context of meshing. But when they’re interactive the results are rather interesting. In the debate between history-based and direct CAD modelers, direct modeling is being positioned as a tool for performing “cosmetic surgery” on CAD models prior to FEA simulation. Here’s part 2 of the NX video series on FEA workflow. 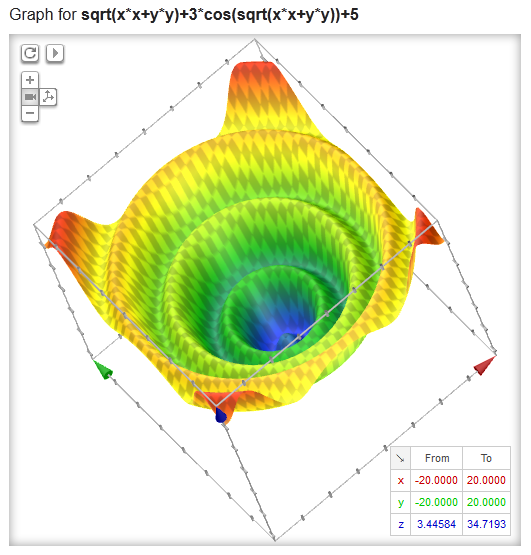 Google Graphing: You can type a 2-variable equation into Google and get a 3D interactive plot of the results. Might be handy for quickly plotting CFD-related functions. Graph 2-variable functions using Google. Geomagic Acquires Sensable: Geomagic, the software company with products for working with point cloud data and turning it into faceted or analytic geometry, has acquired Sensable, the hardware company with a haptic device that provides touch-feedback when working with 3D geometry. NASA Released VSP: NASA released Vehicle Sketch Pad (VSP), their software for rapid 3D modeling of aircraft, as open source. See OpenVSP.org for details. If you are a CAD or CAE blogger, TenLinks wants you to join their TEAM advertising consortium. 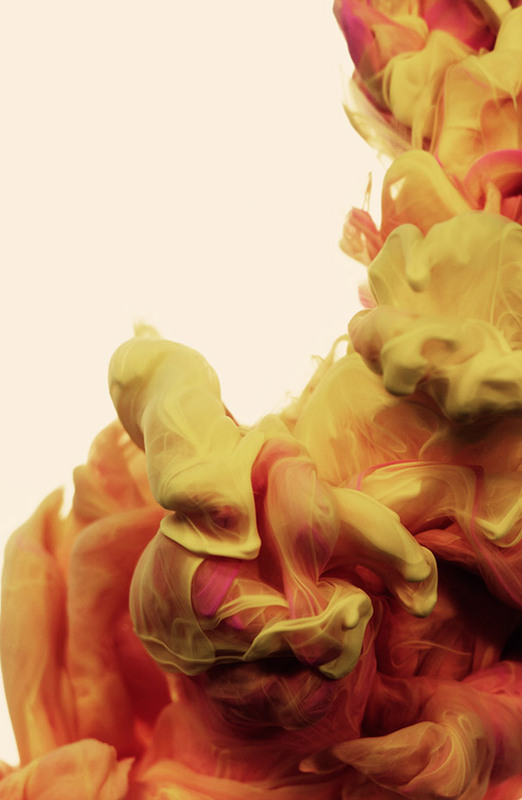 Italian photographer Alberto Seveso used high-speed photography to capture images of two streams of colored ink mixing in water. The results are spectacular. This entry was posted in Applications, News and tagged Caedium, CD-adapco, Geomagic, Google, STAR-CCM+, Symscape, Tecplot, VSP, yacht. Bookmark the permalink. You make a nice work for us John. Thank you and keep blogging!